Interesting Documentary on a remote area in Chile where aliens were apparently well known to exist by the locals. Spanish video with english subtitles. Posters comments:This is an amazing documentary of a very secluded place where a group of humanoid aliens had lived ..people in the area do not want this out for fear of the type of crowd it would attract to the remote island.. 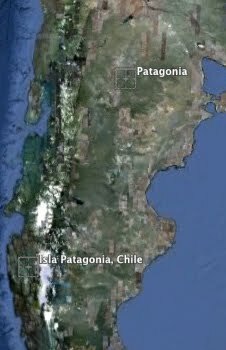 I'm guessing the location is the island of Patagonia in Chile not Patagonia itself? NASA AND THEIR LAME EXCUSES . I WONDER IF THEY THINK ANYONE BELIEVES THESE WILD EXPLANATIONS? I DON'T THINK THEY WATCH THESE VIDEOS THEY JUST START SAYING EVERYONE IS CONFUSED AS TO WHAT THEY ARE LOOKING AT .